Sébastien Brunet is a man few words. He assumed control of Domaine Roche Fleurie in 2006, after the untimely passing of his father, Michel. The pair had worked together for six harvests following Sébastien’s graduation from the lycée viticole in Amboise, where he had studied under the figure-head of the nouvelle génération vouvrillon; the aforementioned Vincent Carême. 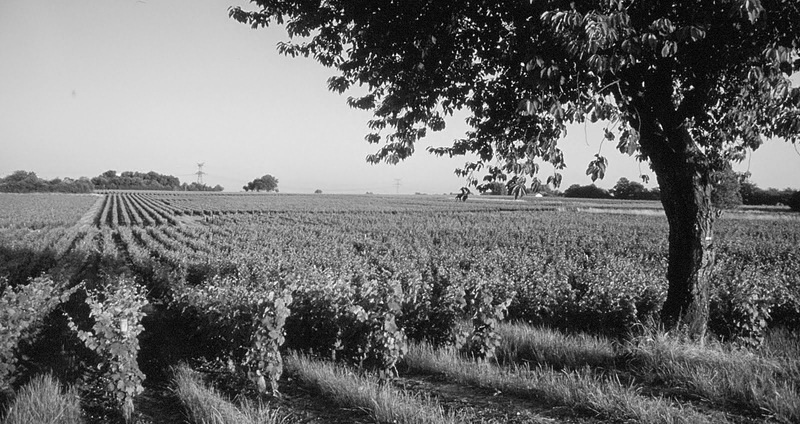 Michel had inherited some three hectares of vines from his father in 1974 and had quietly built up the domaine to 15hectares by the time of his death. Some of these holdings are actually rented rather than owned, coming from Michel’s brother, Jean, who is now in retirement. In the past few years Sébastien has been converting to organic viticulture. The vineyards stretch along the valley of the Brenne, a small tributary that runs perpendicular to the Loire and hosts vines on both the premier côteau and the plateau behind. The most northerly plots are in the village of Reugny and follow the course of the Brenne down through Chançay which is where the cellar hewn out of the tufa is located. Beyond there, the hamlet of La Folie is where the vines of his uncle are located (and was once the site of the hunting pavilion of François I), then onto Vernou, where the stream joins the Loire itself. 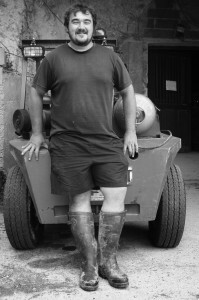 Everything is harvested by hand, into 15kg lug-boxes and the winemaking process sees as little intervention as possible. Just as Noël Pinguet once told me, the most important place to be in during the harvest is not out in the vines, but rather standing next to the press. Pinguet was convinced this was where the quality of the vintage was won or lost; determined by the degree of pressure and the length of the extraction. Brunet is no different; he implements a slow, gentle extraction in a pneumatic press, each load allowed up to 4h30 to ensure the capture of the best quality juice. Settling is slow and without the use of enzymes and, after 36 hours, the wines are allowed to begin their fermentation using only indigenous yeasts. As with all classic Vouvray, malolactic fermentation is never sought and very rarely occurs. As is usual within the appellation (where some 75% is converted to sparkling wines), the range starts Brunet’s bottled fermented fizz. His production, whilst important, bucks the trend and represents only around 45% of his total production. This cuvée is produced from grapes purchased from another grower and is not considered organic. The wine spends 12 months on its secondary lees before disgorging and dosed with 7g/l of residual sugar. The grapes come from 30 year old vines planted on soils of clay and silex. As opposed to the more conventional Méthode Traditionelle, this deviation on the production process harks back to a time when things were done differently. There has been something of a trend for this method within the appellation, with even Domaine Huet adopting the technique for the release of their 2005 vintage Pétillant. Fermentation starts as is normal, in either tank or old barrels, and once the vigneron believes the wine has reached a point of ‘balance’ between alcohol, residual sugar and acidity, the wine is bottled. The fermentation continues and creates sediment. The wine is then riddled as usual (although some of the more radical exponents of natural wine forego this process, leaving the wine cloudy). In effect, there is no second fermentation performed and any remaining sugar is natural rather than added by way of a dosage. It’s a less precise method of production and one which leads to a degree of bottle variation. It also means that the wines generally have around 1% less alcohol that the conventional method, since no additional alcohol is formed during a second fermentation. They also tend to be commercialised earlier too, but this has as much to do with local demand which doesn’t allow for the wines to evolve further in bottle. ‘Le Naturel’ accounts for around 15,000 bottles a year. This wine takes its name from a lieu-dit located in Vernou, although in reality Brunet sources the grapes from a wider source of parcels, mostly in La Vallée de Cousse which is located behind the village of Chançay. The vines here range from between 15-20 years and are planted on the classic soils of the 2ème côteaux; clay and perruches (flint). The wine is raised in tank and bottled early. As the name suggests, this comes from the south-east facing slopes of Jean Brunet’s vineyard at La Folie. The vines here are an impressive 80 years of age and planted on argilo-silicieux. The wine is aged for 18 months in larger, older oak.